TOUCHED BY LYME: "I know what Lyme has done to you and how narrowly you have survived thus far." Letter to a Lyme patient, written in the style of a famous essay by James Baldwin. James Baldwin was an African-American writer of the 20th Century who wrote extensively about race relations in the United States. One famous piece of his work is an essay called “My Dungeon Shook — Letter to my Nephew on the One Hundredth Anniversary of Emancipation.” It’s included in his book, “The Fire Next Time,” considered one of the most influential books about race in America during the 1960s. 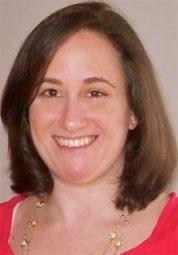 Jennifer Crystal is a Lyme survivor who sometimes writes guest essays for this blog. She’s enrolled in a creative writing program at Boston’s Emerson College. For an assignment, she was to “mirror” Baldwin’s famous essay. Using his exact diction, syntax and tone, she was to fit her own story into his outline. She chose to make her essay about Lyme disease. Entitled “Your World Shook,” it’s a letter to a patient on the day he or she gets diagnosed with tick-borne illness. Remember, she’s writing this the way Baldwin writes, so it’s not a “standard” blog entry by any means. (And a tad longer than we usually run our blogs.) However, I found it fascinating and hope you will too. I have begun this letter five times and torn it up five times. I keep seeing your face, which is also my face and that of patients before you. Like us, you are sick, tired, vulnerable, moody—with a very definite tendency to act better than you feel, because you want no one to think you are weak. This may be part of your personality, I don’t know, but certainly it is the folly of all patients with chronic illness. Well, some are dead, some live as though they are dead, and some have a terrible life; they were defeated long before their time because, at the bottom of their hearts, they really believed what bad doctors said about them. This is one of the reasons that I must write to you. I am sure that you have encountered doctors like that. Neither they nor their practices exhibit any tendency towards reason: they really are of another era, one that blames the patient for inexplicable symptoms and relies on IDSA protocol. You can only be destroyed by believing that you really are what these quacks call a malingerer. I tell you this because I know you’re not, and please don’t you ever forget it. I have known life with Lyme for too long, have carried its weight on my shoulders and in my joints, fought and cursed as it took over my brain. I don’t know if you know the full impact of what’s ahead; when you move from physical symptoms, to psychological distress, to neurological breakdown, you gain a strange perspective on time and human pain and effort. Other people cannot see what you feel whenever they look into your face, for behind your face is the invisible pain from which you suffer. Let them laugh and you see a joy you scarcely remember from a time they don’t know is lost and you hear in their laughter the ease of your former life. Let them curse and you remember getting so easily aggravated, over nothing, and you remember, wistfully, your tears, which a friend’s hand or your lover’s so easily wiped away. But no one’s hand can wipe away the tears you shed invisibly today, which pour from your frustration and your fear and your pain. I know what Lyme has done to you and how narrowly you have survived thus far. And I know, which is much worse, and this is the crime of which I accuse IDSA and its insurance partners, and for which neither I nor past nor future patients will ever forgive them, that these people have destroyed and are destroying hundreds of thousands of lives and do not know it or do not want to admit it. You must be, indeed you must strive to become, tough and assertive concerning treatment and care, for this is what most doctors have been worst at since we have known of Lyme. (But remember: most doctors are not all doctors). But it is not permissible that the authors of guidelines should also be innocent. It is their guidelines which constitute the crime. Well, you have Lyme, you probably got it, something like fifteen years ago; and though you didn’t know you had it then, back when you experienced mysterious symptoms, wondering what was wrong with you, wondering if you were crazy, you were not. For it was real, my friend, what you felt—the quacks were crazy, you were not—it was real: you were sick. 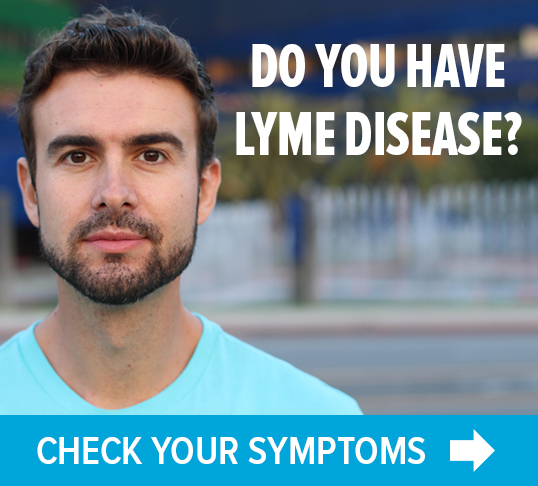 It is Lyme, Friend, now, back then, and forever, that hinders you from a healthy life. I know how bleak it looks today, for you. It looked bad for me, too, when I was diagnosed. I still struggle today, but if I had not seen an ILADS doctor I would not have survived. And now you must follow this same course, for the sake of your own health and the sake of future patients. The IDSA guidelines set patients up for a scenario in which, in fact, it is certain that they will relapse. Let me spell out precisely what I mean by that, for the heart of the matter is here, and the root of the dispute surrounding this disease. IDSA doctors assert that four weeks of antibiotics are enough to cure any case of Lyme, no matter the severity. The limits of treatment, are, thus, expected to work for all. This protocol does work for patients who discover a tick bite right away, who find a telltale bull’s eye rash, and take antibiotics immediately. Other patients are not so lucky; they are expected to make peace with mediocrity. In cases like yours, Friend, when symptoms go undiagnosed, the spirochetes replicate and attack muscles and joints and bones (and spiral into your cells) and move on to the brain and central nervous system. I know IDSA doctors don’t believe this, and I hear them say, “You exaggerate.” They do not know Lyme, and ILADS doctors do. So do you. Take no one’s word for anything, including mine—but trust your experience. You know how you feel. If you stick with an ILADS doctor, there will be no limits imposed on your treatment. The rules and regulations of IDSA guidelines have been deliberately constructed to make you believe that chronic Lyme does not exist. Please try to remember that what IDSA doctors purport, as well as what they practice and cause you to endure, does not testify to your insanity but to their naïveté and fear. Please remember, dear Friend, through the storm which rages about your tired brain today, that these doctors are funded by insurance companies and politicians. There is no reason for them to direct your treatment and there is no basis whatever for their impertinent assumption that they can control you. And I mean that very seriously. You must disregard them and disregard them now. For IDSA doctors provide no hope. They are, in effect, trapped in a fear of losing their licenses; and until they put their patients first, they cannot be released from it. They have resolved to believe for many years, and for innumerable reasons, that following the rules is the only way. Many of them, indeed, know better, but as you will discover, some doctors find it difficult to act on what they know. To act is to be committed, and to be committed is to be in danger. In your case, the danger, if you accept mediocre treatment, is the loss of your life. Try to imagine what cancer cells do if they are not attacked by enough chemotherapy. The same is true for spirochetes that are not eradicated. Without antibiotics the spirochetes will reproduce and attack profoundly your body and brain. Well, with proper treatment Lyme Disease will no longer reign as a fixed star, an immovable pillar: if the right medicine is used, spirochetes and co-infections are shaken to their foundations. You, don’t be afraid. I said that IDSA guidelines intend that you should perish from Lyme, perish by never being allowed treatment that goes beyond ludicrous guidelines, by never being allowed to be master of your own health. You will, as many of us have, defeat this intention; and, by our example, a considerable feat, those doctors who believe that IDSA keeps them and their patients safe can begin to grasp reality. These doctors are our brothers—our lost, younger brothers. And if the word healing means anything, this is what it means: that we, through example, shall force our brothers to see Lyme Disease as it is, to cease fleeing from reality and begin to change it. For this is your life, my friend, do not be driven from it; other patients have gotten well, and will again, and our struggles can make the fight against Lyme what that fight must become. It will be hard, Friend, but you are not alone, surrounded by patients who fought doctors and got treatment and soldiered through, and, in the face of the most terrifying odds, achieved an unassailable and monumental level of strength. You must have faith in ILADS doctors, some of the greatest doctors since Hippocrates. As one patient said, The very time I thought I was lost, I found the right doctor and learned the way. Please know, really know, that this community of doctors and patients stands behind you as you embark on the long road to health. Your journey is their journey too. God bless you, Friend, and Godspeed. Next Post » NEWS: "Way past the time where ignorance is acceptable"
My Lyme went over 15 yrs without being diagnosed. This poem is me all the way, I want a life but its been ripped from my grip. My children go without because I can’t work &I’ve been denied Social Security that I’ve WORKED for. I don’t see the light at the end of the tunnel Do You? What an amazing exercise! And the piece that was produced is inspirational for anyone who has struggled with disease in their life. We can all relate to those feelings of helplessness although Jen has witnessed this pain from a very intense place. An incredible rendition of a heartfelt view, one which could only be “voiced,” no matter whose “voice” it is written in, by someone who knows this disease all too well, and is beating it down at every turn. These types of postings are terrific…keep ’em coming! Truly amazing. Jen has tapped into a universal truth through this style of writing that connects all human beings who have ever suffered at the hands of totalitarianism. What a soulful look into the raw journey that is lyme disease and a beautiful call to reclaim one’s power. Really fabulous and moving piece of writing Jennifer! Wow..We all have lived this but seeing it writen down makes us know we are not alone. As for me…..Five major hospitals visits with infectious disease Drs in the Philly area and not a one would treat me because I had 3 weeks of oral doxi. This was after 4 years of crippling symptoms. One told me to smoke pot (No names) but I already felt high from brain fog. Finally got treated by one infectious dr w/ oral antibotics after he sent me to a homoapath who showed me 2 pictures of people they raised from the dead ( I was sick enough to stay there and pray my heart out with him). This guy casted out the evil sickness that was in me. Really?? ?$380.00 later still sick. The infectious diease dr was so embarrased for sending me there that he said “what do you want” and then wrote me a script I so badly needed. This is what we are reduced to. Now relasped from Oct 2010 and never had anything but oral meds. Can get it toghter to work hard and earn enough for a lld. This is my life now. Sad thing is even when I had blue cross major medical I could not get the help I needed. Very very sad. 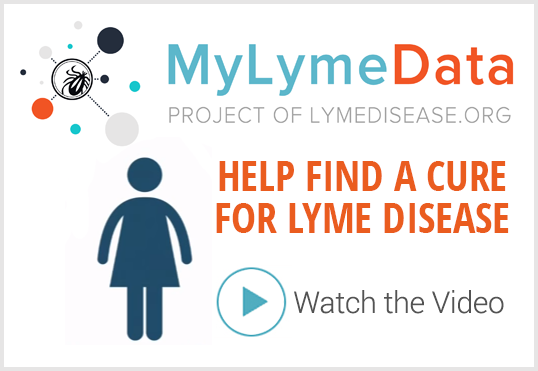 Undiagnosed for over 15 years and then finding out that all three children AND my husband now have Lyme. Because of me. No… because of IDSA. Spending $600 a month on medical insurance that, somehow, does not cover any Lyme treatment. So we can’t treat. Because of IDSA. beautifully written jen! thank you for saying, so eloquently, what we all know and feel so well!